New York Skyscraper's Separate 'Poor Door' Called A Disgrace A developer got tax breaks for creating affordable units in its luxury high-rise, but those tenants will have to use a separate entrance. Officials vow to review zoning laws that allowed the design. 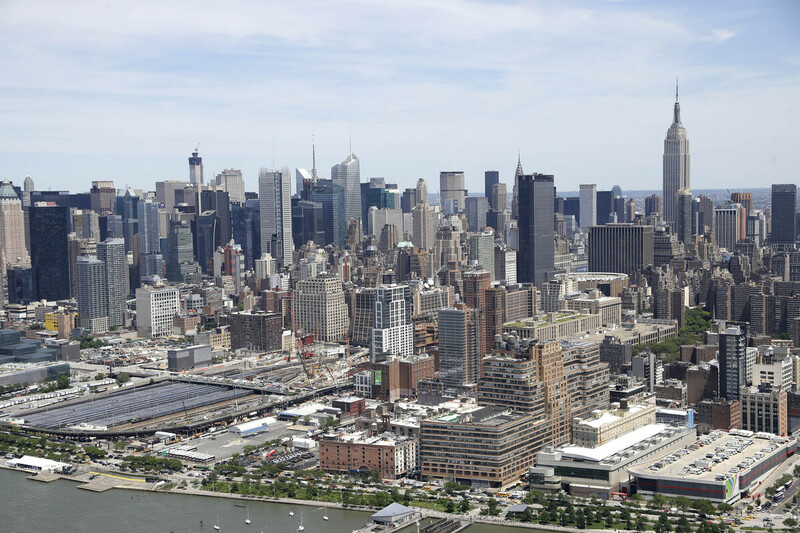 Lower-income residents may find affordable housing hard to come by in Manhattan. New York City Mayor Bill de Blasio's administration is under fire for signing off on a building plan that allows a new luxury high-rise on Manhattan's western edge to have a separate entrance for low-income residents. About 20 percent of the units in the 33-story tower will be reserved for low- and middle-income residents. But all the affordable units will be grouped in one area, and those tenants will have to enter through a separate door. "This developer must go back, seal the one door and make it so all residents go through the same door," City Councilwoman Helen Rosenthal said. "It's a disgrace." In A Luxury Apartment, Is A Separate 'Poor Door' Segregation? Rosenthal is demanding an end to what some here have dubbed the "poor door." Civil rights attorneys say a significant number of tenants in the subsidized apartments could be minorities. Lawyer Randolph McLaughlin says that makes the building's design more than disgraceful — and possibly illegal. "To permit developers or encourage them to create separate and unequal buildings and take tax credits and benefits from the city," he said, "I think that's a constitutional violation." The developer, Extell Development, defends the two doors, saying it complied with zoning laws by essentially creating two separate buildings. Housing advocates say Extell is exploiting a loophole in the laws, while City Hall blames the prior administration for creating those laws and approving the deal. De Blasio swept into office promising to address income inequality. "The plans for this building were submitted and construction commenced on the project in 2013, prior to the new mayor being elected," said Alicia Glen, the deputy mayor for housing and economic development. Extell's president, Gary Barnett, said the zoning law is aimed at creating more affordable housing. In this building, he said, the affordable units will rent for about $15 a square foot, whereas market-rate units will fetch five or six times that. "Would you rather not have the affordable housing? Ask any one of the thousands of people who are applying for that, and they don't give a damn," he said. "They want to have a beautiful apartment, in a beautiful neighborhood, and you know, at a super price." But some New Yorkers aren't persuaded by that super price. "Once again we're putting segregation right upfront, and we're making it legal to segregate people," a caller from Queens said on WNYC's Brian Lehrer Show. On streets near the new building, it was hard to find a resident who would mind a separate entrance in exchange for a sweet, cheap rental. "I definitely understand why people would be upset, but I would not take it too personally," said Roman Golubov, who lives in a subsidized apartment. "If I had the opportunity to live in a skyscraper and I had to walk through the poor door, I'd get over it." Meanwhile, City Hall is trying to get over the controversy. Officials are promising a comprehensive review of the zoning laws and say they will work to close the poor-door loophole.